Minister of Tourism Nikolina Angelkova received the award for institutional partnership in the tourism sector at a ceremony for giving out the First Annual awards of the National Tourism Board (NTB). They are awarded in 15 categories for achievements in the sector. 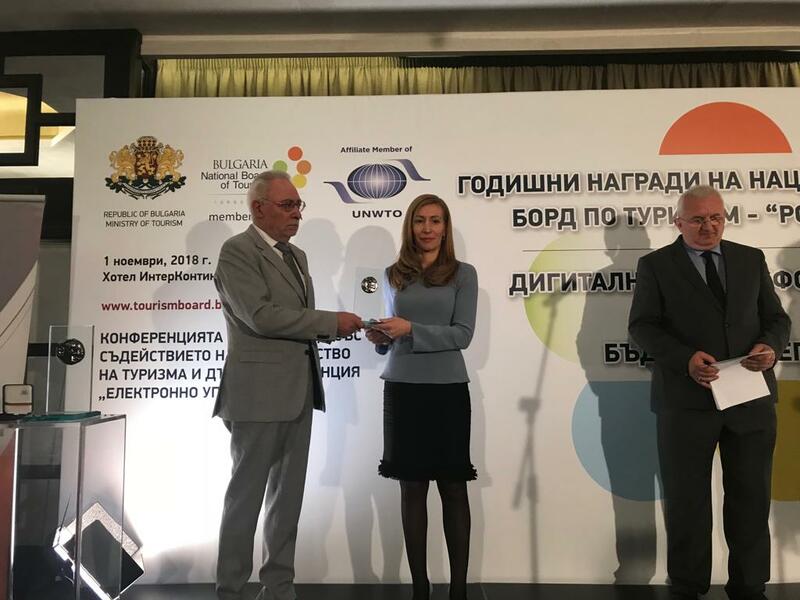 The award for the Ministry of Tourism was given by Radosvet Radev – member of the Management Council of the National Tourism Board and chairperson of the Bulgarian Industrial Association. It is a great honor for me and my team to receive the award, Minister Angelkova said and expressed her satisfaction with the fruitful cooperation with the NTB over the years. I believe that it will continue in the future because the sustainable growth of the Bulgarian tourism industry can continue only with the joint efforts of the tourism administration, the responsible business and the local government. Minister Angelkova emphasized that the tourism administration is working in dialogue and constant interaction with the business. Since the establishment of the Ministry of Tourism, we have been discussing all the topics with you and with the people who contribute to the development of the sector with their work every day. In me you have a partner and an ally for all initiatives that promote Bulgaria as a holiday destination during the four seasons offering quality tourism, Minister Angelkova also said. The desire of the business has always been to have a separate Ministry of Tourism, and I am glad that this has become a fact. For 4 years now, the National Tourism Board has worked very actively with the Ministry of Tourism and this encourages growth in the sector, Mr. Radev said.